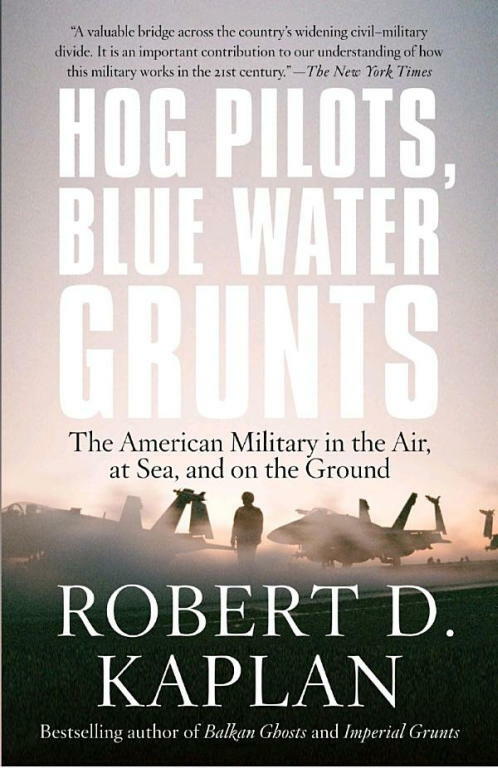 In Hog Pilots, Blue Water Grunts, acclaimed journalist Robert D. Kaplan continues his exploration of the American military’s challenging and varied commitments around the world. From protecting sea lanes, to providing disaster relief, to preparing for potential military confrontation with North Korea and Iran, Kaplan describes the astonishing, vital, and often unacknowledged operations regularly performed by American military personnel in the air, at sea, and on the ground. Vivid and illuminating, this book takes us deep into the highly technical and exotic cultures of the armed forces, telling soldiers’ stories from the perspective of the troops on the ground.